Every year pubilles and hereus from all over Catalonia participate in a contest summoned by organizations that promote traditions of the past in the region. As was described in a previous post in Barcelona Photoblog, a pubilla is the heiress in a family where there is no son. She is the eldest daughter, must be between 16 and 21 years old and inherits the home and the estate. The hereu, is the heir, in those cases when there is a son. Families with pubilles were supposed to receive a contribution from the family of the groom, that unlike dowries, were voluntary. This contribution was called aixovar, from Arabic, assovár. 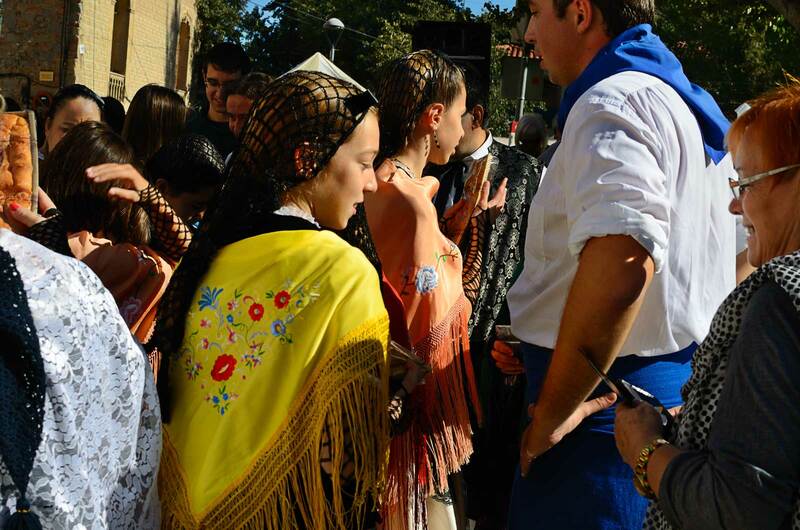 Being elected as the pubilla or the hereu of their municipality or in a final national contest, the representatives of all Catalonia, is a privilege for these youngsters who feel proud of defending the traditions of their ancestors. They will be honor guests in all minor festivities concerning these matters around Catalonia and will be received by the president of the Catalan parliament. A visit to Montserrat Monastery will be a must in their schedule. Check also this post about Pubilles and Hereus or this one featuring a dancer in traditional dress.